Contemplating true aspects of Kerala culture the cuisines of Kerala boasts a rich repertoire of recipes, dishes and sweets that brings to the fore the culinary expertise of the people of Kerala. The cuisines of Kerala encompasses a stimulating combinations of vegetables, meat, seafood along with variety of fragrant spices that are simple yet palate tickling and distinctive. The rich culture of Kerala is reflected in its multi flavored cuisines which are different in each region which boats a unique taste and exotic variety. Almost all the cuisines are prepared in coconut oil and no food is complete without chilies, curry leaves, mustard seeds, tamarind and asafetida. Spices are used in Kerala to tone up the system and act as an aid to the digestion. The staple food of Kerala is rice. The food is made even more interesting with the lip smacking chutneys and pickles. Food is basically served on soft banana leaf and is eaten mainly with hands. Use of oils, sugar and artificial additives is kept to a minimum. The other specialty of Kerala cuisines is that they differ with each community. Hindus mainly prefer vegetarian dishes while the Muslim households offer a rich variety of non vegetarian dishes. Christians have some interesting fish recipes to the coastal state while the tribal living mostly on the Northern part of the state takes meat in the main course. There are lots of dishes that are relished by the people of Kerala in breakfast and are relatively unknown outside the state. These include…. It is made of rice powder and grated coconut both of which are mixed and steamed in a metal or bamboo holder. Kadala is a curry made of black garbanzo beans and chana. A heavy breakfast in the form of pancake is made from rice flour and fermented toddy. 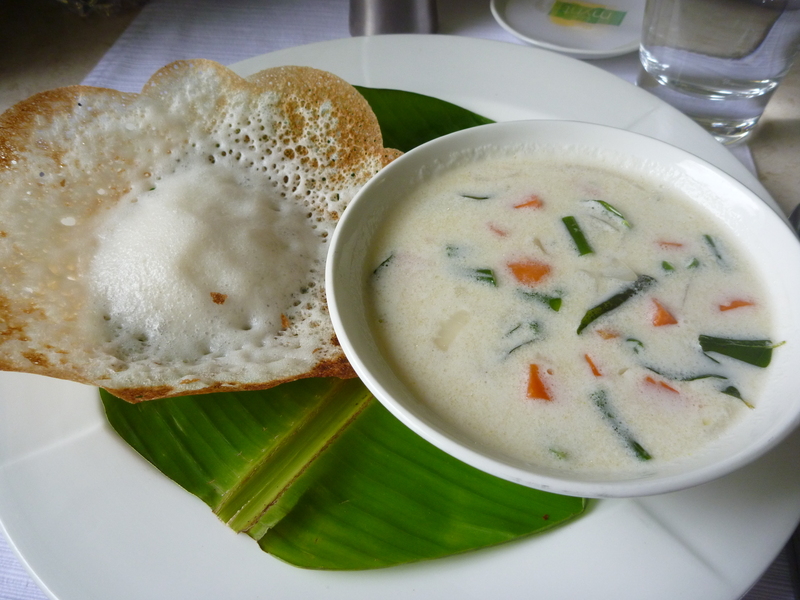 Crispy pieces of vegetables or meat are cooked in sumptuous coconut milk. Among some delectable dishes taken for lunch and dinner are Kichadi, Kanji and Payaru, Biryani, Kappa (Tapioca) and fish curry, Karimeen fry, Prawn fry, Rice and Fish Curry which are quite popular among the natives of Kerala. The sweet dishes and deserts of Kerala are simply mouth watering and quite popular among the people and include. 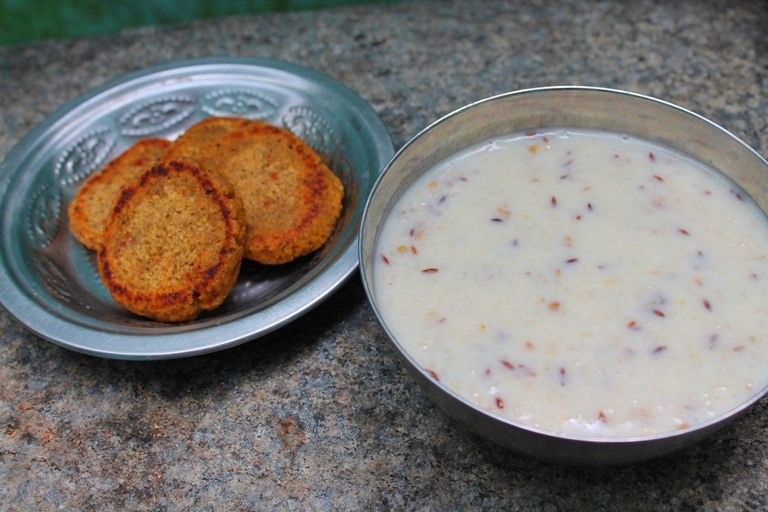 It is one of the most delicious and alluring desert which is prepared from rice products or pulses which is cooked in condensed milk, coconut extract or in jaggery syrup along with cashews, dry grapes etc. It is a pancake made from sweet mixture stuffed in between the layers. A Muslim delicacy prepared from egg yolk and dipped in sugar syrup.